Changes, improvements and innovations are relevant factors in your long-term company success. These are usually conducted in the form of projects, alongside the day-to-day activities. The continuous monitoring of costs, deadlines and quality (content and scope), as well as the consideration of interest groups, are essential for successful project management. In order to guarantee you project management that is as efficient and sustainable as possible, it is important for us to take into account all relevant aspects of the project in terms of situation and targeting. 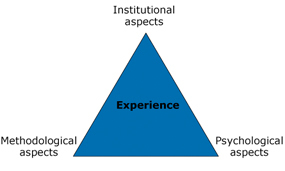 The institutional aspects are the first factors to be identified. These are directed towards clear definition of the project, efficient project set-up and consideration of managers and committees. Thanks to tried-and-tested methodological instruments, MAK ensures transparent and targeted project management. A project is only successful and can only be implemented if psychological aspects and dynamics are also taken into account and integrated. This requires a project manger as well as methodological knowledge and comprehensive soft skills. Thanks to our many years of experience and internal quality control, we can achieve these factors of success and steer your project towards success. MAK supports you in all phases – from analysis, design, execution and implementation to monitoring the effectiveness of your project.